Carry your camera gear in comfort and style with The Tourist Full-Grain Leather Camera Backpack in light brown from Kelly Moore. It has plenty of room for your DSLR, several lenses, plus accessories. Photographers will appreciate the removable 13" laptop sleeve, interior zippered pocket and slip-in pocket. The pack features padded touch-fastening dividers, and a padded back panel. Carry the pack with the top handle or wear it with the padded backpack straps. 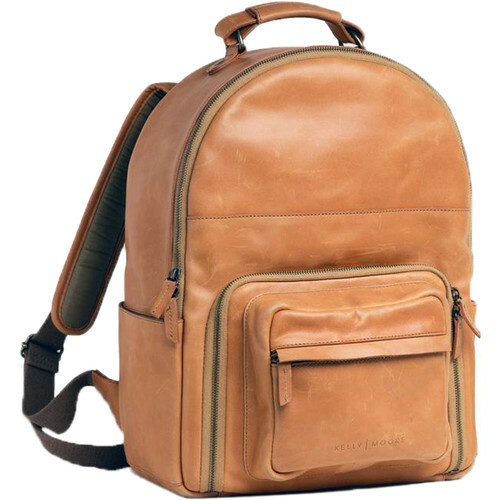 The pack is constructed from leather and nylon.